While Apple and Tesla are some of the hottest brands around, even they can't stop the mallocalypse. Not even Eataly's promise of wine, cheese, and freshly made focaccia can get people to malls, it seems. Analytics firm Thasos has released a new report revealing that foot traffic at U.S. malls has been dropping since last August save for a small uptick during the holidays, CNBC first reported. 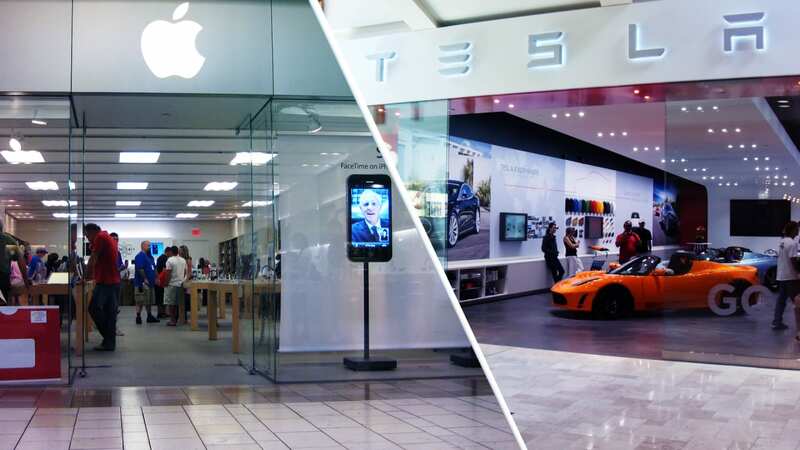 While landlords are not very strong brands like Apple and Tesla by offering them sweetheart lease deals in the hopes of increasing consumer traffic, it may not be a good investment. Thasos data shows that the big-name stores and so-called experiential tenants like Italian food marketplace Eataly, which don't use their brick-and-mortar locations to just sell products, aren't luring in customers At a rate that would make it worthwhile for landlords if they had not been drawing in extra traffic.